Interval House presents the 1st annual Time’s Up Tune Up empowerment event! Join us at the Cnnecticut River Academy at Goodwin College. 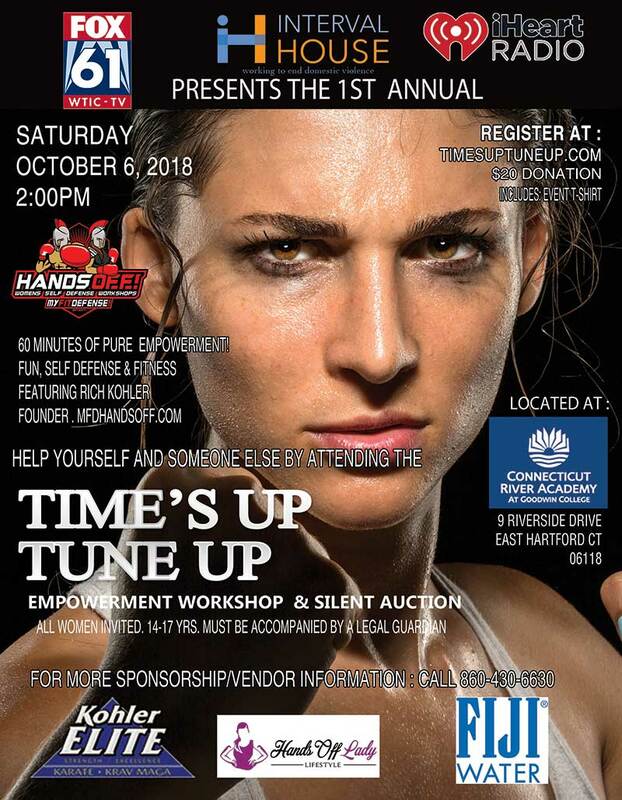 60 minutes of pure empowerment, fun, self defense and fitness with Rich Kohler leading the way! All proceeds go to Interval House to help women and children move their way to a safer and better life free of domestic violence.